HomeOdditiesSPAM as a canned food name! 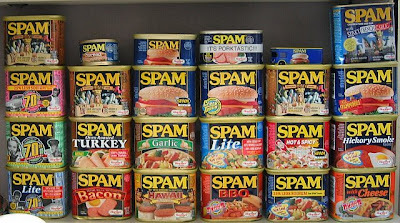 SPAM as a canned food name! Here are my collection of SPAM cans as I was working on an anti-spam project at work. Just joking. Spam is not a friendly and not a good word for internet users. On the internet, spam means the abuse of electronic messaging systems to indiscriminately send unsolicited bulk messages to other users. But have you heard about a canned food mean product know as SPAM? 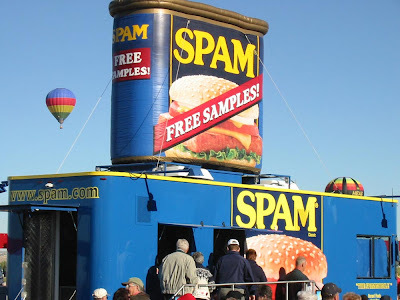 Actually SPAM is a canned precooked meat product made by the Hormel Foods Corporation. 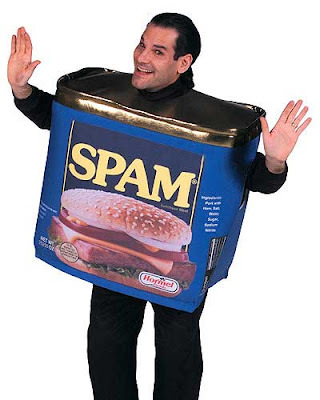 SPAM was introduced on July 5, 1937, as its original name was far less memorable (Hormel Spiced Ham). Every so often, the product has become element of many jokes and urban folklore about mystery meat. You can go to wikipedia and look for the story of word spam,I don’t know if it’s true but it sounds like true. That guy got money for wearing the spam costume which is mad sweet. I am proud of his success.